Anyone who has dealt with a roach infestation before can attest that it is a challenge to handle. 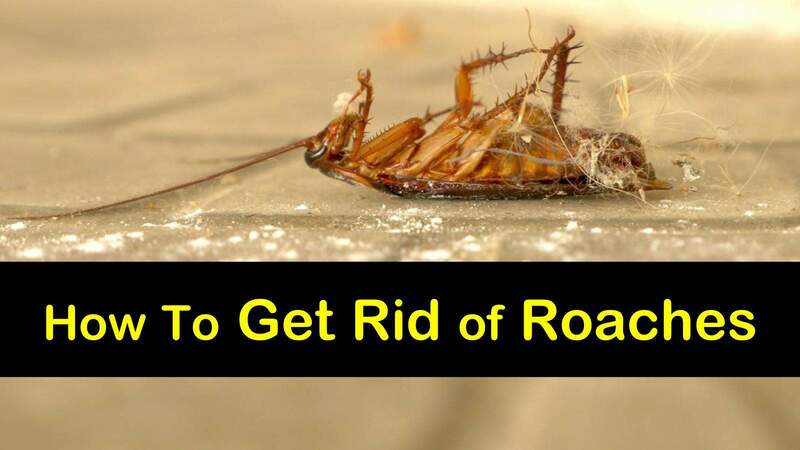 If you’re currently dealing with a roach problem in your home, you likely want to do everything you can to get these household pests out of your life as quickly as possible. That’s why we’re here to let you know how to get rid of roaches in your home effectively. In this article, we’ll explain techniques you can use to kill cockroaches and keep them away. Whether you’ve already got a roach problem or you want to make sure they never have the chance to set up house in your home, following these pest control tips will ensure you won’t have to worry about these invaders. There are two types of common cockroaches you might encounter in your home. The American cockroach species is physically larger, measuring about 1 ½ to 2 inches in length and is reddish-brown. German cockroaches are smaller, only about half an inch and are tan in color. Figuring out whether you’re dealing with American roaches or German will help you figure out how to target the roach populations. The American species is most likely to be found in basements, crawl spaces, and in drains, while the German roach tends to prefer kitchens and bathrooms. You may also have an infestation of the Oriental cockroach, also known as the water bug. Regardless of which species you have, the pest control techniques are the same for both. Here are the best ways to get rid of roaches, including some home remedies. If you want to kill roaches, bait is a great place to start. There are two different types of bait you can get: gel and powder. Apply gel under baseboards and in all cracks and crevices that are likely to attract cockroaches. While you might want to head to a hardware store for gel bait, you can easily make a powder version at home. The most important active ingredient is boric acid, which is an instrumental roach killer. This recipe works by luring the roaches with the sugar and then killing them once they ingest the boric acid. Sprinkle the powder mixture in areas where pests gather such as under and behind the refrigerator, stove, dishwasher, under the sink, inside cabinets and pantries, and in cracks and crevices. Boric acid is not toxic and is safe for pets and animals, but it may cause irritation, so be sure to put it in areas that are out of the way. Once ingested, you’ll have a bunch of dead roaches on your hands, so make sure you do some daily cleaning to get rid of the bodies. Diatomaceous Earth (DE) is another great powder roach killer. It is natural but deadly to any pest with an exoskeleton, though it is safe for pets and kids to ingest. Dust over a thin, even layer of DE anywhere you’ve seen bugs and in any hiding places that the roaches might be hanging out, including all points of entry. Be sure not to layer it on too thick, as cockroaches will be able to avoid it if it’s spread too heavily. Other home remedies for cockroaches include wiping surfaces with citronella oil, bleach, a mixture of lemon juice and soapy water, or sprinkling a mixture of ground garlic, onion, and pepper with a few drops of liquid soap. If you’re worried about dead bodies piling up once you begin to exterminate your cockroach infestation, then traps might be a better option. You can buy glue strips at a hardware store or make jar or sticky traps using homemade or store-bought bait. To figure out where to place your traps, use a flashlight to check cockroach’s favorite hiding spots, like under the sink, fridge, and stove, and any other damp, dark places. Place the traps where you see the most activity. A very easy homemade glue trap you can make involves sticking pieces of duct tape to small bits of cardboard boxes and setting some powder bait in the middle of the duct tape. The bait will lure roaches, and then the bugs will get stuck in the adhesive of the tape, staying there until they die of dehydration or starvation. To make this trap, tape the outside of the jar so that the cockroaches have something to grip onto as they try to climb up and inside. Cover the inside of the glass, especially around the opening, with petroleum jelly so that the cockroaches will slip and slide when trying to climb out. Finally, put the bait in the bottom of the jar and set the traps in any high traffic roach areas. If you don’t have gel or powder bait, you can use any oil or food that has a strong smell. Set up bait stations with either powder or gel bait. Stations attract cockroaches to eat the bait and then go back to their hiding spots, where they die. Ideally, the other roaches will eat the dead and also ingest the poison. If you can’t be bothered to make homemade cockroach traps, or if your methods aren’t working as well as you’d hoped, then it’s time to call in the professionals. In addition to using bait or setting up traps, cockroach exterminators will also use a type of roach spray known as insect growth regulators (IGR). As the name suggests, IGRs help control roach populations by working as ‘birth control’ for insects. Once in contact with the IGR, young roaches will not be able to mature to adulthood or will cause a change in adults that prevent it from reproducing. This way, no more new insects will be born, and the infestation will eventually die off. One thing that’s helpful when it comes to pests and bugs is that they’re very predictable. That means you can be proactive about cockroach control, making sure they never get close enough for an infestation with just a few easy techniques. These tips for how to prevent a cockroach infestation may sound simple, but they work. The key is to focus on the sources that attract bugs and getting rid of them. All of these solutions are also very low-cost, so you can save yourself a lot of money and trouble by following these prevention remedies sooner rather than later. One of the best ways to ensure your house doesn’t attract cockroaches is by keeping it clean and eliminating all of their food sources. Make sure you don’t leave dirty dishes in the sink, wipe down your kitchen cabinets and counters to wash away food residue, and never leave uncovered food out on your kitchen counters. If you have pet food in your home, make sure you keep it in sealed containers, so the scent doesn’t attract cockroaches. In addition to maintaining a clean house, you can prevent cockroaches by placing bay leaves around your home. Cockroaches can’t stand the smell of this herb and will steer clear of any area that smells of it. Cockroaches are attracted to moisture, and they thrive in damp, humid conditions. To some cockroaches, water is more important than food—they can survive without food for months, but without water for days only. That is why you often find them around wet areas such as under the kitchen sink or in the bathroom. You can make sure they stay away by eliminating any water sources where they might want to gather. Repair any leaky pipes, no matter how tiny, and don’t let water pool and sit. That includes making sure you empty your sink of all water and not overwatering indoor plants. No matter the size or species of cockroach, they’re very good at crawling through even the tiniest of cracks. Make sure your home is impenetrable to cockroaches and other bugs by sealing up cracks and holes in your house. This recommendation is extra helpful to people who live in apartment buildings, as you could be doing everything right to keep roaches away, but your neighbors might not be as vigilant. Seal up cracks in your pantry, between your countertops and the wall, and spaces in the baseboards using caulk and a caulking gun that you can find at any hardware store. There’s no doubt that a cockroach infestation is unsightly and can make you feel uncomfortable in your home, but these pests can also be dangerous, spreading 33 kinds of bacteria, including E. coli. It’s essential to protect your home from these pests and to learn how to get rid of roaches. We hope you found these cockroach remedies helpful. 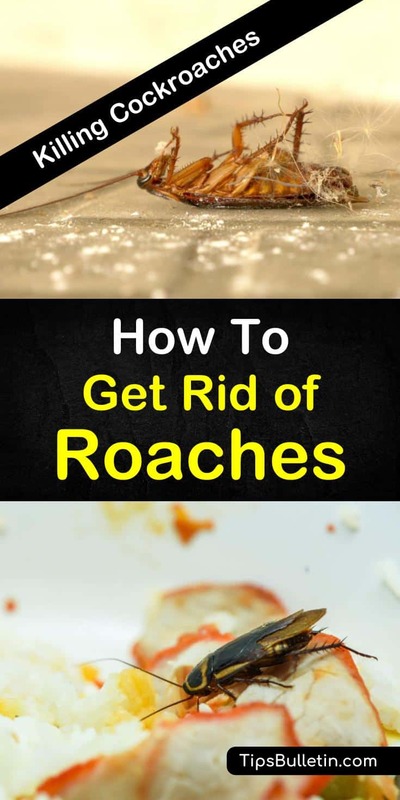 If you learned something about how to control roach populations, then share these roach killing and prevention techniques with your friends and family on Pinterest.